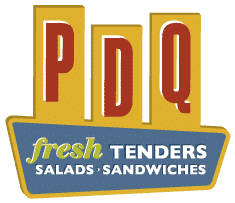 Fresh, never frozen, hand-breaded chicken tenders, made-to-order sandwiches, hand-tossed salads, fries, hand-spun shakes & more! We serve up chicken the way you want it. 100% Fresh. 100% never frozen. 100% delicious.